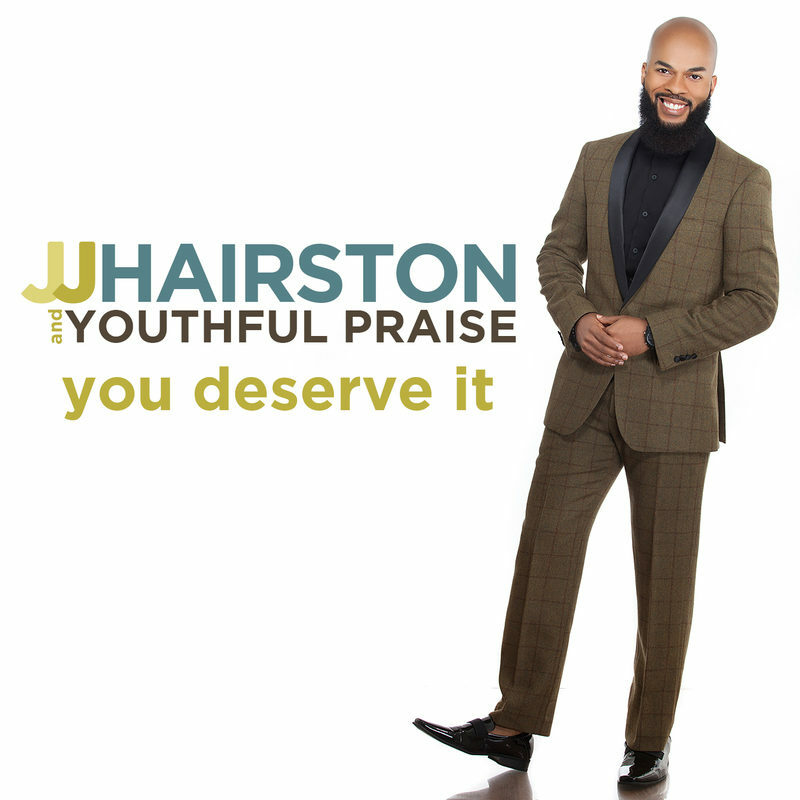 Washington, DC – After recently headlining a successful 22-city tour J.J. Hairston & Youthful Praise continue to make strides to new heights in the gospel music industry and beyond with, “You Deserve It,” the first release on Hairston’s new recording label, JamesTown Music. The continued recent success of Hairston with the new album entitled, You Deserve It, after the smash hit single have entitled him to many firsts including performing this week at Bishop T D Jakes’ Megafest, Essence Music Festival, as well as the Full Gospel Conference this week alone. “I’m really grateful for the doors and opportunities that are being opened for Youthful Praise and myself. I’m looking forward to sharing my ministry with an expanding audience,” said Hairston. In addition, the album titled single a rousing song of worship remains in Billboard Magazine’s Gospel Digital Sales chart top 5 for over 18 weeks. The highly anticipated project is available on iTunes, Amazon, Google Play, and in major retailers such as Walmart and Target . Recorded live at City of Praise Ministries in Hyattsville, MD (where Hairston is the music director), the 20-track,You Deserve It, album celebrates the group’s fifteen years as an influential recording choir. It boasts new recordings of Youthful Praise’s biggest hits alongside new songs featuring the dynamic vocalist, Miranda Curtis Willis, and Grammy® Award nominated singer, songwriter and producer, Travis Greene. Recently, the group earned two Stellar Gospel Award nominations for the single, “You Deserve It,” in the categories of Song of the Year and Urban/Inspirational Single or Performance of the Year. Later this summer, Hairston is scheduled to perform at BET’s Celebration of Gospel taping in Atlanta, GA.